Kai is walking about on her own, quite briskly. She’s very curious and likes to poke around everywhere so we really need to keep an eye on her. We went to hang out with Mrs Bean’s family for Turkey Day and she get to meet her 6 month old cousin – the two of them spent time playing with the same toys, but not really with each other. 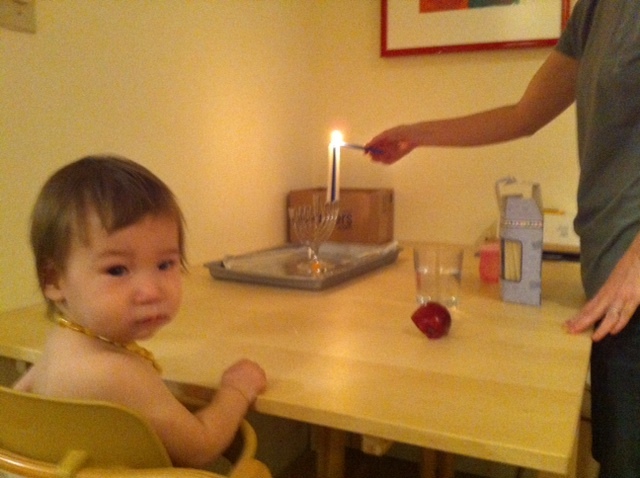 We’ve been lighting the hanukkah candles every night. Kai loves to watch them burn as she eats dinner. She got her first fever today. 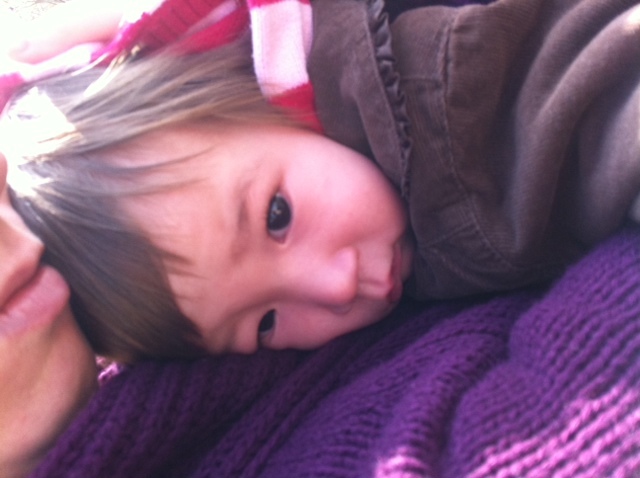 She was kind of crabby, falling down alot when walking and very clingy. She was also a little warm to the touch and very tired. Hopefully she’ll rest and sleep it off tonight!